Well, well, well - who'd have guessed, eh? The best of own goals. It's wonderful to see this smug junkfood salesman hoisted by his own petard. Mr Lineker should resign immediately! And hand back all the TV licence money he took to buy this house. Isn't that what we say in situations like this? As usual, boycott Walkers crisps. Still my favourite from the BBC salaries scandal. "Gary Linekar isn't presenting Match of The Day tonight. So I won't bother to watch it. Said no one, ever." Walker's Crinkles are rather good. 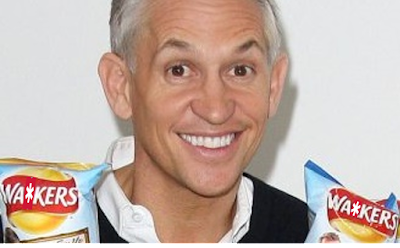 Anyway, time for Lineker to retire and take his boring chums Shearer and Wright with him. Fewer words and better, that's my policy. I refuse to eat Walker's crisps. Anyone who believes in redistributive taxation (ie votes Labour/pro EU) should be prepared to contribute MORE than statutary requirements. At least to the point that middle earners are feeling it. I'd love to hear Lineker opine more on the EU. I want to know which EU party he supports and what they stand for - ditto be able to tell me of his familiarity with the five Presidents to a level to at least that of the British cabinet. I don't pretend to know much about the intricacies of EU, but then it's not me trying to sell it. ps, I absolutely support the right to get rich. I may never own a Vacheron watch but I'm glad that someone can and that such an object exists. What I object to is rich people exhorting the importation of low wage workers and then avoiding the tax needed to support the policy. That's OK then, Kev - you can come back again! Always have, Nick. I'm not going anywhere unless one of you tells me to ! Capitalism has liberated more from poverty than any other. The abuses have to be tempered and Blairism (still very much with us) must be seen for the abuse of capitalism that it is. Isn't this kind of hypocrisy the real story? Who cares if Apple evades taxes. Yet Apple supports politicians who want everyone else to pay higher taxes. Who actually thinks a hand on the knee is sexual harassment? Yet MPs force everyone else to live under the gaze of HR. Weinstein is big into feminism. But he's what he accuses every other man of being. Altruistic wealth accumulation, if you like, *special* K.
The two are incompatible. Philanthropy, on the other hand, is a different thing. create your wealth on the back of the wealth redistribution. In contrast Victorian philanthropists really DID give their own money away and reduced their estates doing so for the good of the nation and in sight of God. I'm sure he intended as fully to house Afghan migrants in his Barbados home as did Yvette Cooper in her two houses. Oh, WA*KERS ! I see what you did there. 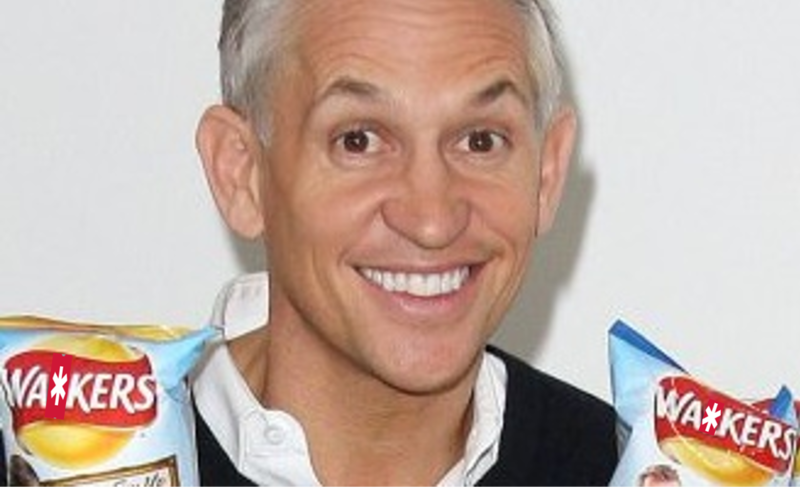 Look, children, it's Uncle Gary with his crisp puppets.